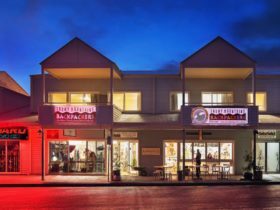 Marritz Hotel is Perisher’s most unique accommodation establishment offering the ultimate alpine experience with superb facilities, exceptional service and great hospitality. 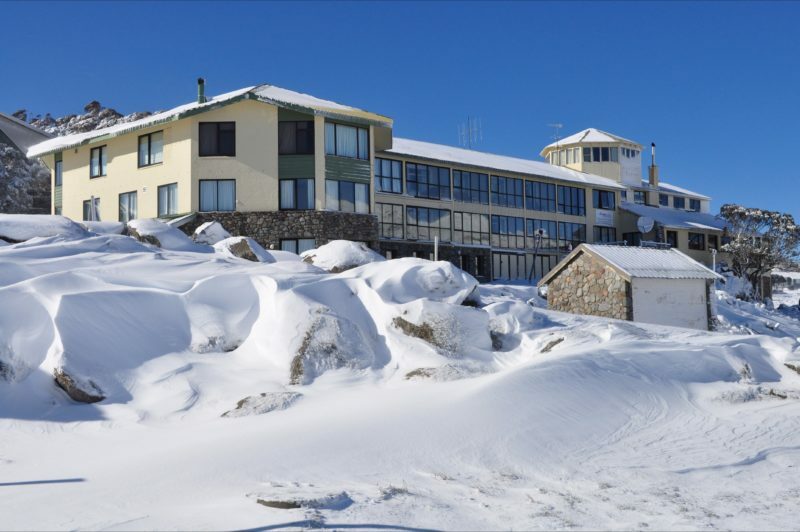 Centrally located opposite the Ski Tube, the hotel boasts spectacular views of the Perisher ski slopes. 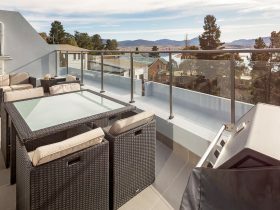 The Deluxe Rooms include an enclosed balcony to enjoy the warmth of the winter sun. Large one-bedroom suites with enclosed balcony overlooking the village and Front Valley ski area. 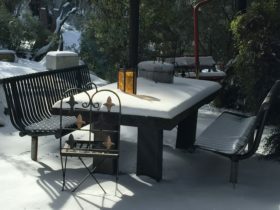 Room rates include breakfast, dinner and complimentary oversnow transport to and from the Ski Tube. 250 metres from the chairlifts with incredible mountain views. 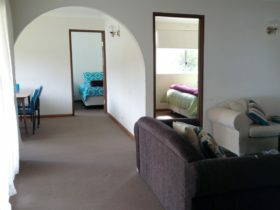 Deluxe Suites have an en suite with bath, television, bar fridge, microwave, tea and coffee making facilities, wall heating, hair dryer and ironing facilities. 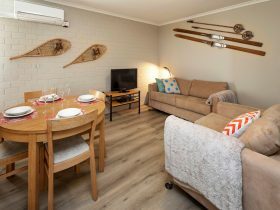 Spacious two-bedroom suites with stunning views of Perisher Blue Ski Resort. The Village 8 chairlift is only 250 metres from your doorstep. Room rates include breakfast, dinner and complimentary oversnow transport to and from Ski Tube terminal. Executive Suites have an en suite with bath, lounge, television, bar fridge, microwave, tea and coffee making facilities, wall heating, hair dryer and ironing facilities. The exclusive two-bedroom Tower Suite provides an incredible 360 degree view of the unique alpine landscape. 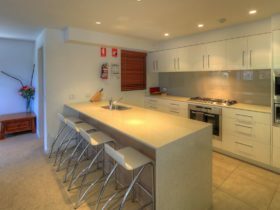 Panoramic views from the top floor take in the Mt Perisher to Blue Cow ski areas and the surrounding Snowgums. 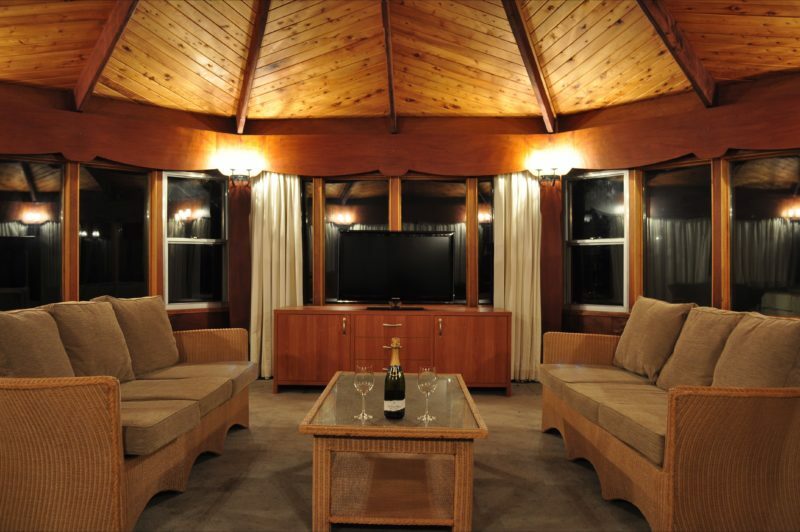 This is a one-of-a-kind suite offering a truly unique snow holiday experience. Room rates include breakfast, dinner and complimentary oversnow transport to and from Ski Tube terminal. Prices vary depending on room type and season.